Easter is a holiday that has come to mean many different things, from its religious beginnings through to chocolate eggs and of course, the Easter Bunny! 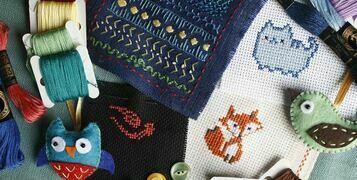 If you've been cross stitching for any length of time, it can feel like you've learned everything, seen every kind of kit and tried every kind of accessory - so where do you go? 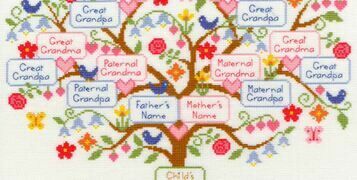 How Do You 'Cross Stitch' Your Family? Whether you're kicking off the new year with a brand new project or you're kick-starting your latest hobby - keeping it in the family isn't such a bad thing! 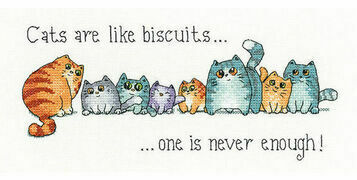 Our 10 Best-Selling Cross Stitch Kits Of 2018! As the year comes to a close - yes, we can't quite believe it either! 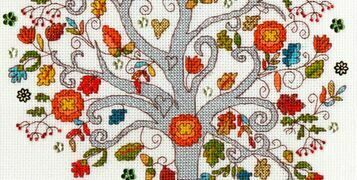 - it's time for Past Impressions to reflect on some of the most popular cross stitch kits that captured your imagination over the past 12 months. The leaves are crunchier, the breeze is crisper and the nights are getting shorter... It's safe to say that Autumn has arrived.